Did you know that City Church has a fund that is specifically designated to help those in need? The Mercy Fund has been a part of our church from the beginning. On the final Sunday of the month, we take up a special offering at City Church that goes to support the vital work of the Mercy Fund. To learn about the Mercy Fund, I sat down with Seth Huffman, a City Church member and Mercy Fund volunteer, to get his take on what the experience is like for him. In your own words, what is the mercy fund? 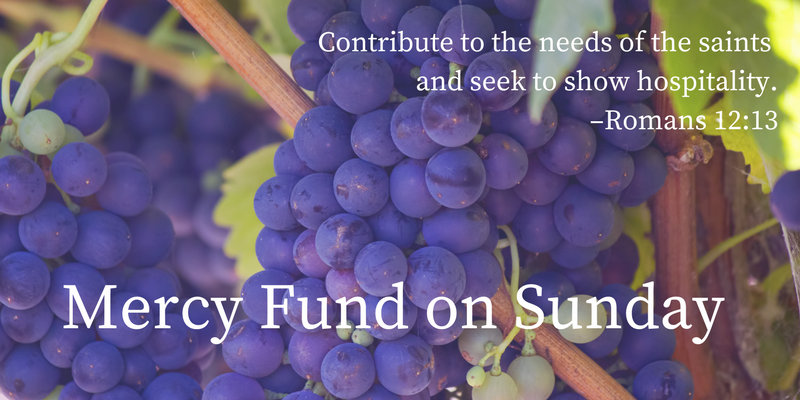 The Mercy Fund is a ministry of City Church dedicated to assisting people in our church and in the broader Richmond area who may need help amidst a financial crisis. Why did you volunteer to help with the Mercy Fund? We were asked to consider joining the Mercy Fund team, and after learning more about this ministry's unique opportunity to serve the Richmond community, we were excited to serve in this way. My favorite part of being on the Mercy Fund is being able to remind people who may seem hopeless and afraid in their respective contexts that God knows their struggles and deeply loves them. Being able to give to their needs is awesome, but even if we can't help someone directly, we can point them to other resources, pray for them, and encourage them in the hope of Christ's mercy. It can be challenging to hear and bear the burdens of those who call us for help, but to not be able to assist in every situation. What has surprised you in your experience volunteering? There is great joy when we are able to help someone financially and that allows them to stay in their home, provide for their family, turn their water back on, etc. They are so grateful, and we've been surprised by how much it blesses us and brings us joy to be a small part of God's provision for them. What would you say to a potential volunteer who considering joining the Mercy Fund team? Being on the Mercy Fund team is a great way to directly connect with the needs of those in our city. They invite us into the vulnerable places of their lives and we have an opportunity to both bless them financially and to share Jesus. It's a great ministry and very rewarding to be a part of. If you’re interested in volunteering please contact David Perks at dperks12345@gmail.com. If you’d like to make a special gift to the Mercy Fund, you may do so by putting a check in the offering box on Sunday or through our online giving system.